As soon as the first few notes of Christmas classics start to play on the radio, it becomes almost impossible to resist the allure of holiday decorating—even though they only stay up for one month of the year. Luckily, Target has plenty of amazing holiday decor that won’t bust your budget, while still managing to look equally festive and impressive. Think: vintage-inspired color palettes and textures, natural-looking rustic accents, and plenty of elevated metallic pieces that look way more expensive than they actually are. 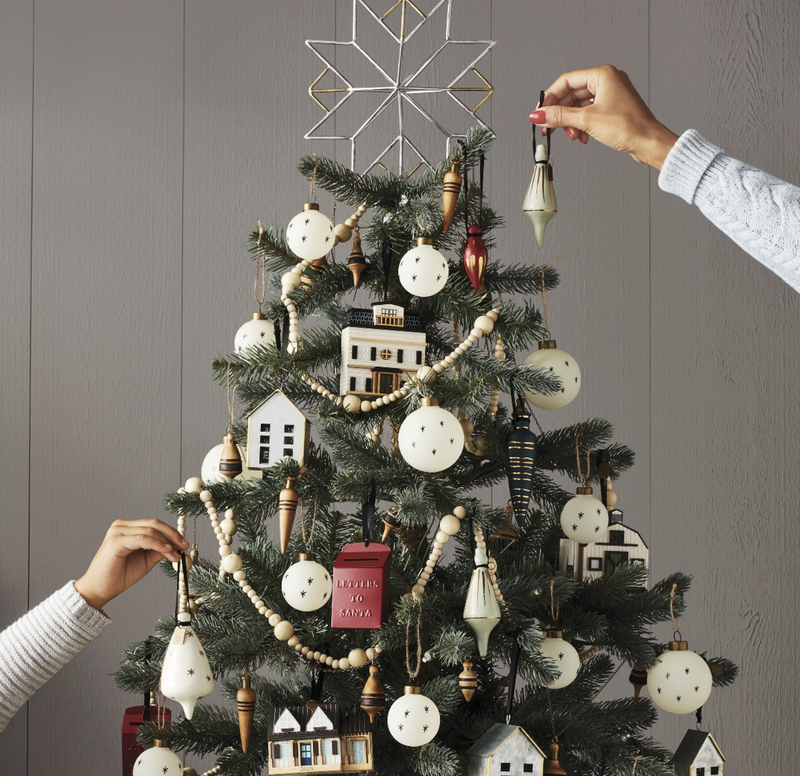 These 11 holiday picks from Target make this season the most wonderful time of the year. Plus, you’ll even have plenty of cash leftover to dive deep into your holiday gift list—and maybe even scoop up a few gifts for yourself. The elegant metallic pattern of this runner makes it a refined choice that will look perfect on your dining room table, all the way through to the new year. Covered in snowball-like pom polka dots, this pillow is truly Christmas done the Yayoi Yusama way. Fake your way to a nature-inspired tablescape with pine branch napkin rings that look like the real thing. A mix of non-traditional Christmas colors like yellow and mint give this garland a unique twist. Whether your style tends towards modern farmhouse, or is borderline bohemian, this simple, natural-looking wreath makes the ideal front door accent. The soft off-white hue of this felt tree skirt gives it a cozy, retro vibe that looks quaint with both multi-colored and white Christmas lights. Try out the taper candle trend with a candelabra that goes all out with an impressive eight candle slots—and looks much more expensive than it really is. Fill this polka dot vase with slender evergreen branches or holly stems for an instant statement centerpiece. This metallic-striped rug makes a sweet entryway accent when you want to opt for a subtle holiday palette. Though this bowl can certainly look striking year-round, it’s especially well-suited to winter decor. Fill it with holiday candies, pinecones, or even ornaments for a fun touch. Gold-accented ceramic ornaments have an appeal that suits tastes that range from rustic to retro.